“You were not an accident. You were not mass produced. You are not an assembly-line product. You were deliberately planned, specifically gifted, and lovingly positioned on the Earth by the Master Craftsman,” says Max Lucado, best-selling author. “IF life were to hand me a lemon, I would squeeze it and make myself lemonade”. This is how I look at life, by being positive in whatever situations I am in. I dare to dream big because I believe that it is one of the ways in which we set our goals in life, and how we shape our future. But never dream empty dreams. We must take pro-active actions to make those dreams come true. If you are going to be successful in creating the life of your dreams, you have to believe that you are capable of making it happen. You have to believe you have the right stuff, that you are able to pull it off. You have to believe in yourself. Just like what I am doing now by setting up a Public Relations company. This venture has always been my dream and now this dream has become a reality. I am really excited over this business prospect and so I would like to share this dream with everyone who reads this. Coming from a single parent family, I understood the need to work hard to achieve my dreams. I strongly believe that nothing is impossible if one strives for success. On the journey towards my goals, many people have given me help, and I have never forgotten anyone of them. I have wanted to be involved in the media field since secondary school days. 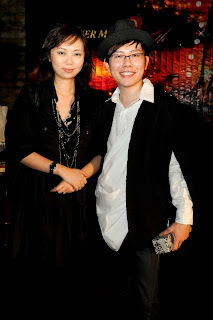 The one person who continues to inspire me is Hong Ju Khee, a versatile ex-ntv7 newsreader. A while back, she was the only news reader could read English, Malay and Mandarin news. This convinced me to take those language papers in his STPM because I realised that language would be a useful tool for me in the career of my choice. I had participated in many university activities like the Student Representative Council, the School of Communication 35th anniversary and Pesta Tanglung. Through those activities, I learnt how to communicate with different people and organise events. My lecturer had advised me not to be too actively involved co-curriculum activities because fears that my results would be disastrously affected. I took it as a challenge and wanted to prove to my lecturer that I could manage both my studies and activities well. And my exam result proved it, I made it to two dean’s lists! A communication theory goes, “Sharing is Living, Living is Cooperating, Cooperating is Sharing”. I accept that sharing is part of my life and one of the criterion to enable me to go further in my career. After leaving university, I started to learn image consulting from a local creative consultant & Shuuemura Black Book Artist, Stevensunny. I was even willing to sacrifice limited personal time to attend night classes. As a result, I now know how to do professional makeup and hair styling! 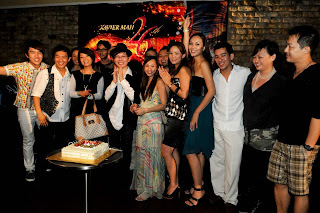 I had been make up for several celebrities, like Amber Chia, Nikki Palikat, Isma Hanum, Dawn Jeremiah, Diana Danielle and so on. First time being an organiser, I had to ask my friend on how to write press release, arrange the show programmes and so on. I attributed my achievements to A Cut Above's founder Winnie Loo, as she had the confidence to take me in when I was still a fresh graduate lacking in real work experience. To earn other's respect, you need to have non-stop learning ability and perform to your best in every step you take. I may be young to setup a company, but what's important is that I dare to dream big. I did and the result is Xavier Mah Consultancy. To me, age is not a barrier for anyone to start a business. 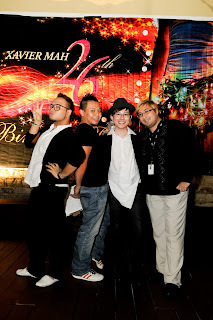 Xavier Mah Consultancy is a new and innovative company by customizing to tailor the client’s needs. The consultancy offers a wide range of solution through various media channels in all forms of market to create the most inspiring and motivating public relations for our clients. With experience coming from various fields ranging from producer, broadcast journalist, columnist and public relations, he understands the needs of the industry and strive to think out of the box for his client needs; where our motto is “The Media-Difference”. Thanks for your support and assistance! 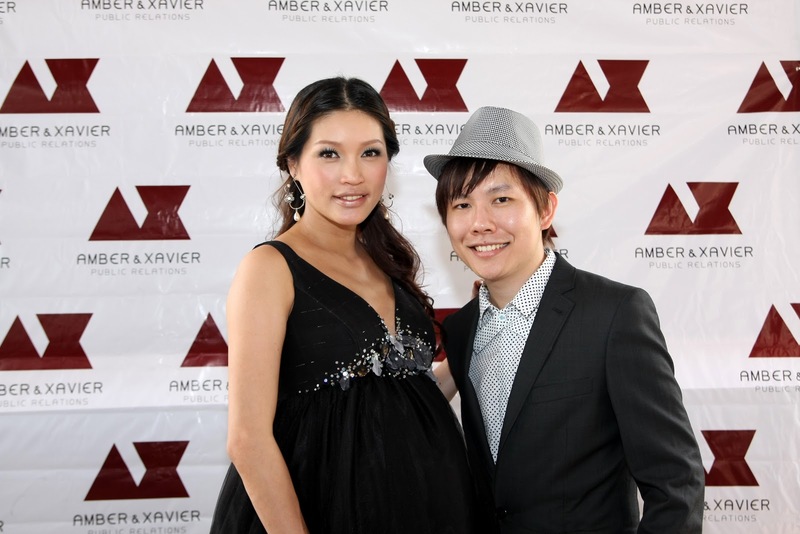 Congratulations Xavier on your new PR firm this is so happening! I am so dissapointed I couldn't be there but from your photos, I see that you're soooo happy on this wonderful day, surrounded with friends and support! Your post is very touching too, I like your opening statement :) and your mom and your journey till now. Keep it up! I shall stalk u more here! wooo... really fantastic sharing, I am really happy to know someone like you. You will be my "business Idol"
I love the quote "Never too young to start a business"